I had so much fun yesterday and the day flew by. The kids and my husband went skiing and I stayed behind. Such a hardship it is having the whole day to sew! I had brought along a few new things. In January, I ordered 25$ of fabric from Frieda Anderson and then got a package of 48 5 inch squares for free. 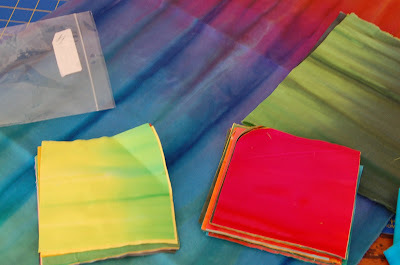 One of the fabrics was a beautiful one yard piece of hand dyed fabric which was multi colored. And the 5 inch squares were bright. 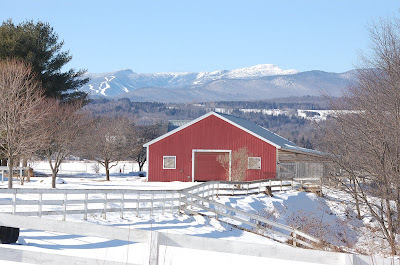 A local horse farm. Love the sunshine and blue skies. 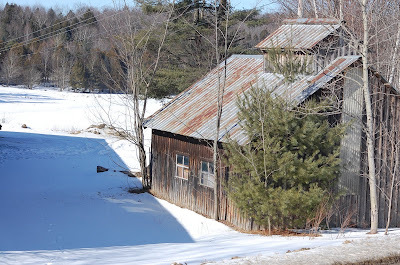 Mrs. Smith’s barn-my 87 year old neighbor who still mowes her own yard. You have been very patient waiting for a quilt. After my walk, I just kept sewing. And this is my first project from this batch of fabric. 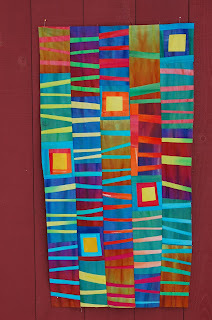 A typical little ribbon quilt, isn’t it? A very happy little guy for a day in February. I needed just carefree and easy for the first day of vacation. 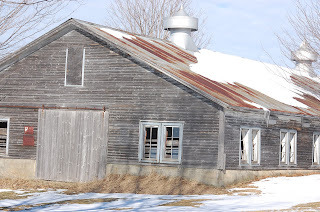 Ok-now dial up internet service has made me crazy uploading pictures. I must go to the library to do this. It takes about five minutes per picture! And weird things happen like pictures are getting all grainy. 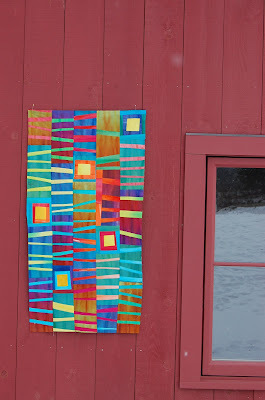 This entry was posted in barns, Directions series, quilts 2010 on February 13, 2010 by Colleen Kole.